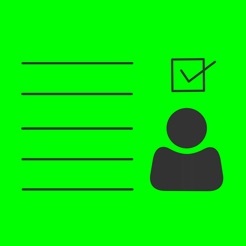 Guesto Session is an app for managing sessions at events. It's a supplementary app to Guesto (an iPad app for managing check-ins and name badges at events). 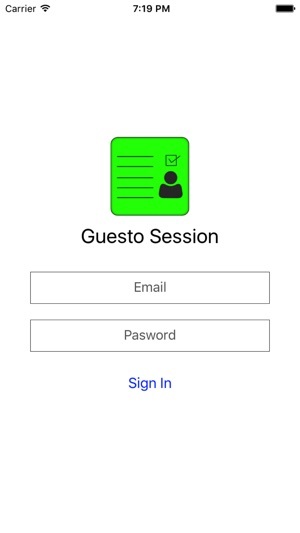 Using Guesto app for iPad, create sessions like 'VIP Session', 'Breakfast Session' or 'Food Counter'. Then use 'Guesto Session' app for iPhone to check-in attendees for those sessions. 1. 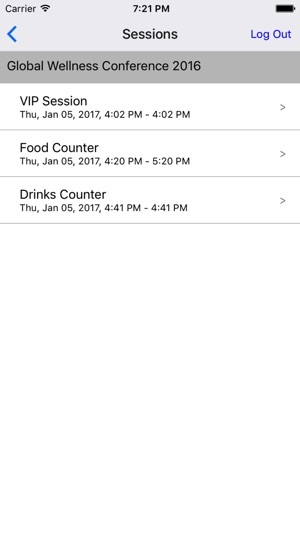 Check-ins are automatically synced between multiple devices (requires internet connection). 2. Can check-in attendees while offline (without internet).